Thank you Springfree Trampoline for sponsoring this post. All thoughts and ideas are our own! Ok Mamas...it's crunch time! With less than 6 weeks away from Christmas, holiday shopping needs to get started! We've already started getting a few things here and there, but are no where near being close to done and we need to get on the ball. Every year we try to have one larger gift that is for all of the kids. Something that hopefully they will all play together with and something that will encourage that awesome sibling love we know they have for each other deep down. This year the talk of a trampoline has come up time and time again. We've told them that Santa might not be able to pull this one off. 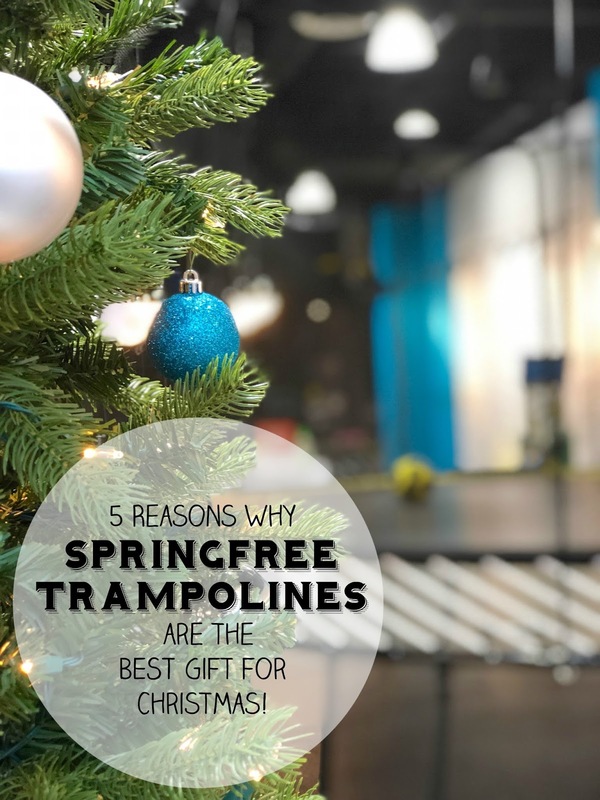 However, that hasn't stopped them from wishing and hoping and helping come up with 5 reasons a Springfree Trampoline would make the BEST Christmas gift this year. You can't argue the wow factor of a trampoline. This is definitely the gift that is going to stand out in their little minds as the big one. The one they were so excited about and the one that they couldn't believe really happened. 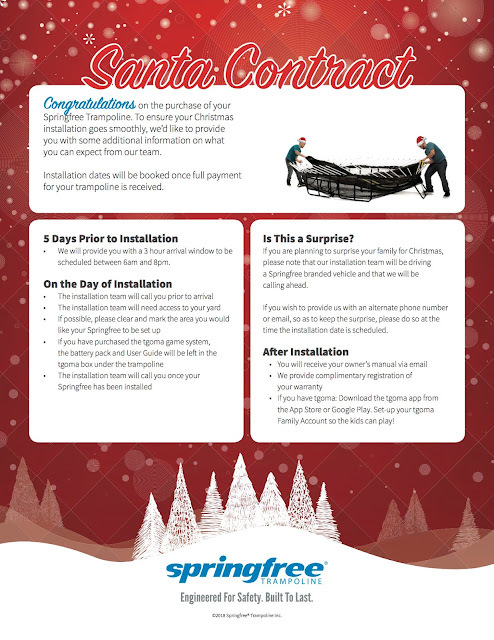 If you are looking to make a big impact this Christmas, a trampoline is certainly the way to go! No more couch potatoes! Trampolines get them moving. 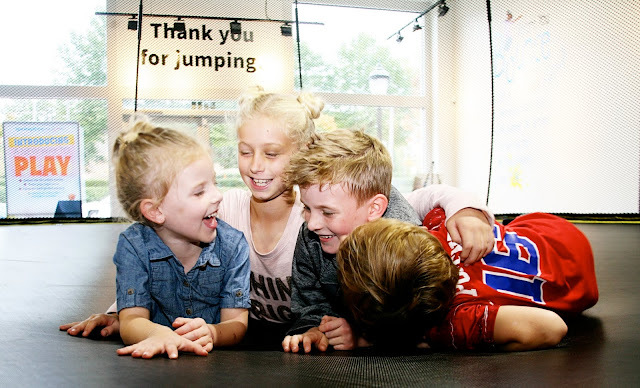 We were surprised to learn that just 10 minutes of bouncing is the equivalent of a 30 minute run. Hello?! That is reason enough for us to think this is a good idea. Watch out kids, the Mamas are about to get our fitness on in 1/3 of the time. 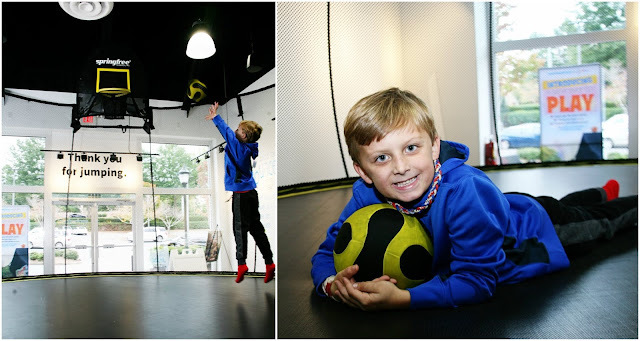 In all actuality though, it is great for the kids too and will keep everyone moving and staying healthy. So much better than staring at an iPad. And speaking of iPads, one thing we were most impressed with is a way to re-direct their love of a device. The reality is that in today's world technology is just part of it. However, with Springfree's tgoma accessory it turns the trampoline into a Smart Trampoline! How cool is that?! Four sensors on the mat connect wirelessly to a tablet like an iPad. 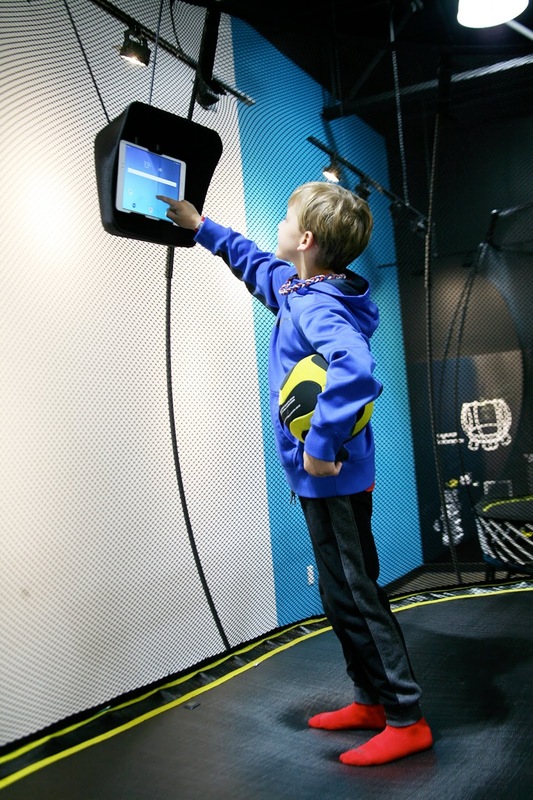 The sensors track movement and games are used to motivate kids to jump and play longer, parents can use the fitness app part of it and there are even educational games that would make learning fun through play. We just love this aspect of Springfree and fee like it is something that totally sets them apart. It's not that you'll be adding more screen time, but rather re-directing it in a way that is going to make them motivated to get outside and be active. 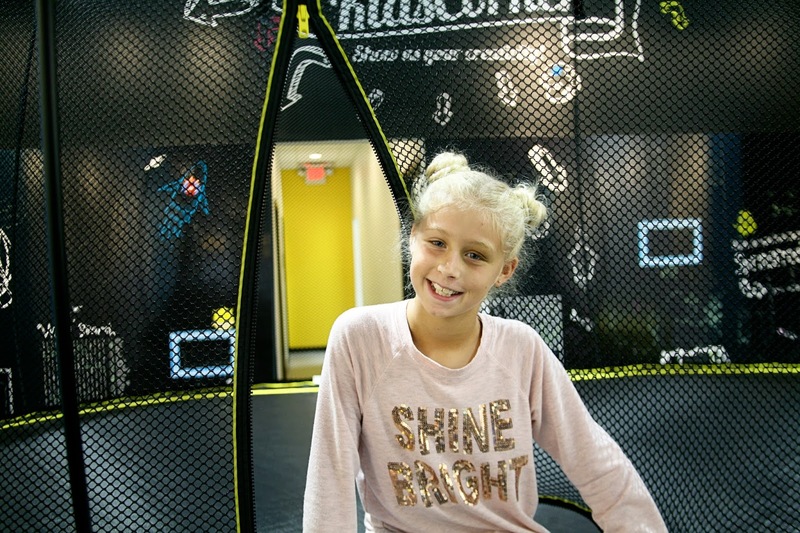 One of the biggest concerns most parents have with trampolines is the safety of them. However, with Springfree Trampolines that worry goes out the window. These trampolines were designed by an engineer so that his kids would have a safer option and that is just what these are. You can learn more HERE, but basically they use flexible rods instead of springs, has a flexible safety enclosure, a hidden frame and soft edge with no hard areas meaning you can jump to the very edge and still not risk getting hurt. 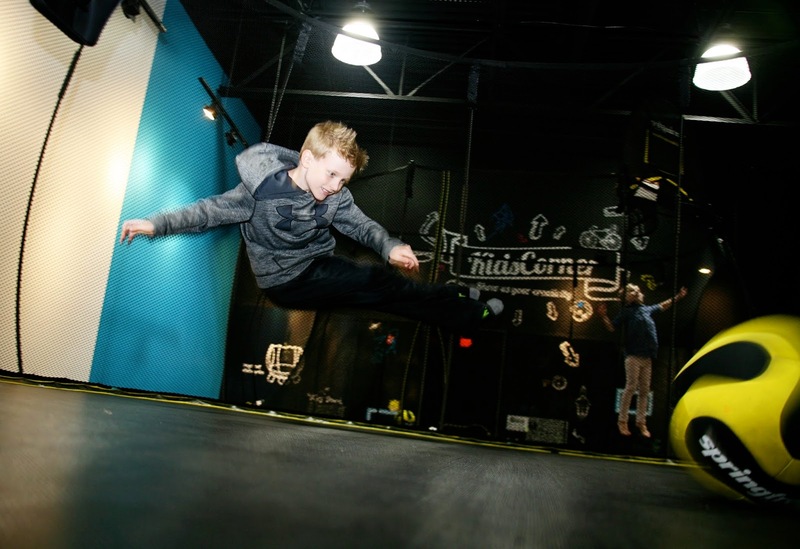 One of the best things about a trampoline is that it is great for all ages. 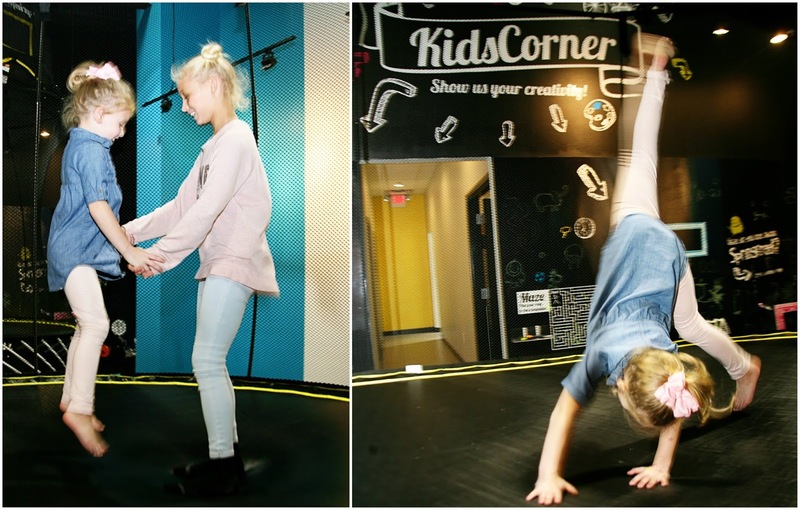 Our littlest Mini Magnolia had a blast jumping around just as our Middle School Magnolia loved practicing her flips and tumbling tricks. We can't really think of another game, toy, or piece of equipment that would be so fitting for so many age ranges. That fact alone simply makes us consider this as a gift. 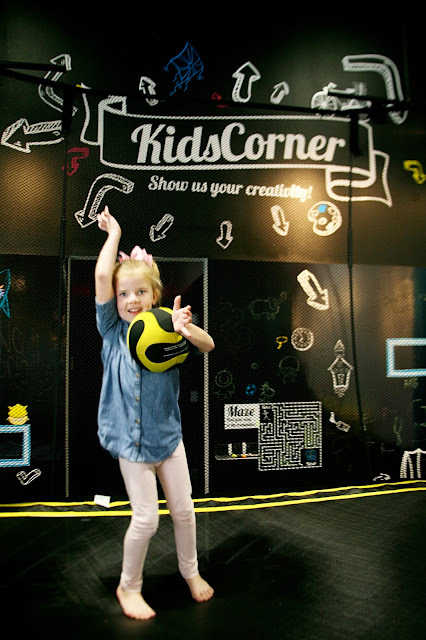 Knowing that all of our kids would be able to use this together would encourage family time and sweet sibling smiles. Heck, us Mamas might be known to jump around from time to time and we are sure the Mr. Magnolias would be all about showing what they've got. It would be fun for everyone! If you are considering a trampoline for Christmas, Springfree makes is really easy. They have a bunch of different gifting options available and a special Santa Contract. They go out of their way to help you keep this a surprise up until the very last minute and their elves do all the work! For all of you savvy shoppers out there, just a little FYI. 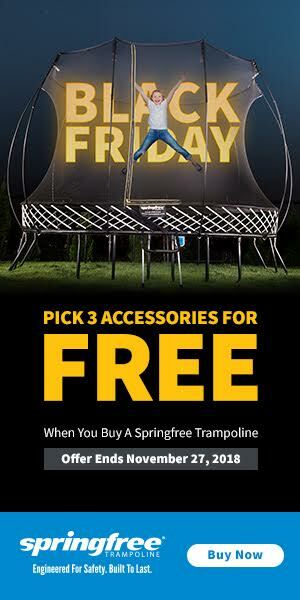 Springfree's Black Friday deal starts this Thursday! They are offering 3 accessories for FREE and that could really mean HUGE savings. 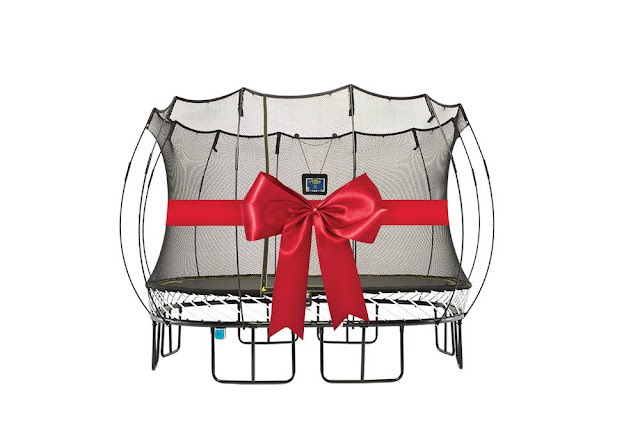 Those aren't cheap, so if you are considering buying a trampoline this would definitely be the time to do it. You can learn more about the sale HERE. 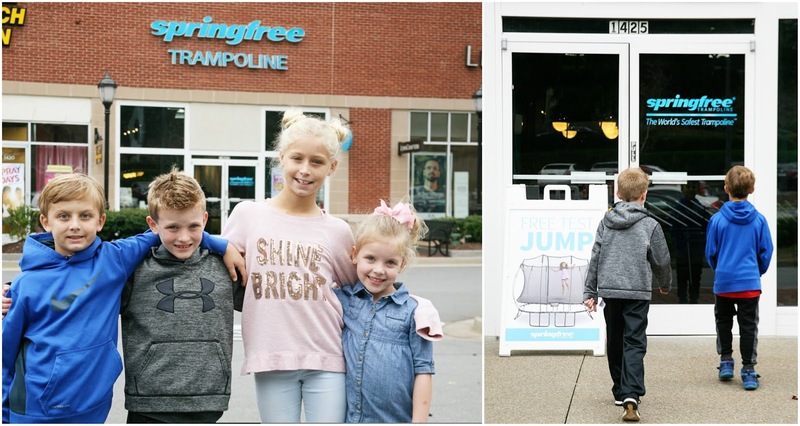 My kiddos love the accessories and that is part of what makes Springfree so unique! If you do consider a trampoline or just want to learn more about them there are several locations around Atlanta where you can take your kids in to jump and test them out. Even if you aren't local you can see all of the locations HERE.